The National Association for the Advancement of Colored People named its newsletter The Crisis after his poem, "The Present Crisis." The poem was also the source of the hymn "Once to Every Man and Nation." 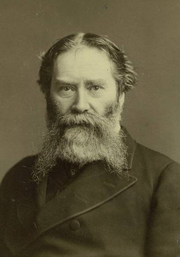 James Russell Lowell is currently considered a "single author." If one or more works are by a distinct, homonymous authors, go ahead and split the author. James Russell Lowell is composed of 6 names. You can examine and separate out names.